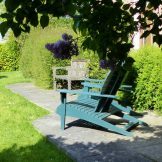 Four Star quality in the cosiest of holiday cottages in The Scottish Borders, West Cottage Kelso is the first of the trio of farm cottages at Hendersyde. 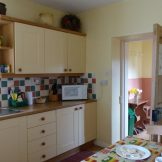 Simple and traditional in design, the porch leads into the kitchen. The sitting room, bath room and garden door, lead off the lobby. The stairs divide to a double and twin bedroom. The enclosed south facing garden wraps round the front and side of the cottage. Walks begin by the garden gate, you can wander across the farm, by the watersides, and along the lanes. 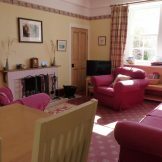 Visit The Thomson Monument, overlooking Kelso National Hunt Race and golf course, or weave your way over the footbridges crossing the Eden Water. 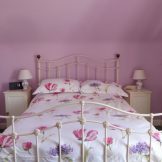 Popular with couples – there is a couple’s discount on all bookings, if only one of the bedrooms is used. 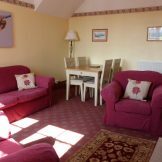 We are happy to welcome well behaved dogs & considerate owners in West Cottage, £20.00 per dog. Please read our letting agreement carefully for details of your commitment! 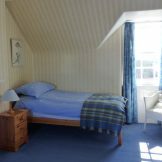 Detailed information & house-keeping are on the Cottages page. 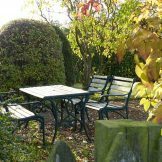 Over the last twenty years we have been frequent visitors to Sue's cottages in their beautiful location. 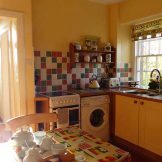 We never fail to be impressed by her warm welcome, the homeliness & high standards of the cottages. On arrival we always enjoy Sue's home-baked rock cakes and the delicious farm eggs. 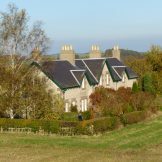 We would highly recommend these cottages to anyone wishing to explore the beautiful Borders countryside. Visited some beautiful gardens, Kailzie & Mellerstain, the azaleas & rhodies were gorgeous. Holy Island was well worth a visit. So much to see and do, not enough time – will be back to discover more! A haven of peace and quiet. 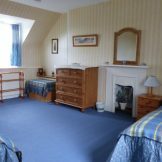 Comfortable and welcoming, we have decided the Borders are one of our favourite places to visit. Bed is so comfortable as well – very rare! So peaceful and we loved the views from every window. Plenty of walks for the dogs. The eggs, Rock Buns were very well received! 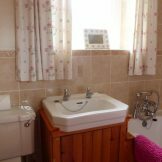 We will recommend the cottage to our friends and family. 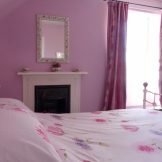 We have had a wonderful relaxing, restful, stay in this cosiest of cottages.